Story Questions and “Plights”: Which Did You Leave Out? In my own writing and in my various writing groups, I’ve often focused on the need for a “story question.” Basically, if you don’t have a story question, you don’t have a story. You may have a diary, or a set of episodes, or a journal, but you don’t have a story. “Plight” is what Donald Maass calls “the story beneath the surface.” An important difference between the two: You must have a story question to have a story. A plight is that extra something that elevates your story out of the realm of the mundane. Basics first, then: what is a story question? The story question is generally the immediate and concrete problem or goal or issue demanding resolution. Will they escape the marauding hordes? Will they escape the flood? Will the detective find the murderer? Will the evil bully get his or her comeuppance? In a multistory serial, like, for example, Lord of the Rings (a great source of examples), each of the books is built around a story question: will the troop survive the obstacles posed by the various segments of their journey? Each book ends with a “yes” (for most), and each of the first two sets up the question to drive the next. Even the most supposedly literary of novels/stories (I suppose with a few really outlying exceptions, but I can’t name any offhand), poses this type of “will they or won’t they” question. The “what will happen to them next?” is the page-turning element. A story can function quite well on this simple principle. If readers are interested enough in the will-they-or-won’t-they, they’ll keep reading. And it doesn’t take a lot of “literary skill,” whatever that is, to build a story like this. All you need is someone about to fall off a cliff or a ravenous lion leaping out of the brush. So what is this other thing, “plight”? Plight comes into play when the entire “what-will-happen” plot asks a second-level question. In my view, such plots almost always ask of the character(s), “Who am I?” Or more precisely, what kind of person do I want to be? What kind of person can I become—or fail to become? My ideal novel has both these elements: a “will-they-overcome-the obstacles?” story question, and a plight question: “If they do (or don’t), so what?” A story that engages on both levels uses the plot question, the simpler one, to confront the main character with the larger one. Here you are in this demanding concrete situation. How you respond will tell you (and us) something about who you are. response to the tiger defines character and teaches how to confront fear. That all sounds so simple and self-evident, but of course it can be monstrously hard to achieve. An important difference between story question and plight is that plight questions can remain open-ended whereas story questions cannot. People can reach turning points in their understanding of who they are, but still have more work to do. Not all tests are as definitive as Frodo’s. Not everybody just retires to a nice hobbit life. But that’s one thing that makes a character memorable: the sense that they have a life after the book, they’re part of an unfinished journey where we might meet them again—maybe, in fact, not in a book. That’s where you might discover the element that makes all the difference, your character(s)’s plight. Do you have favorite books in which the “yes/no” story question asks characters to confront a larger plight? A Lesson in First Pages! A story hook is like those headlights coming at you. What lies ahead? I often get good posts from Writer Unboxed, and today’s example is a recurring feature of the site called “Flog a Pro.” Monthly contributor Ray Rhamey invites readers to vote the first page of a current bestseller up or down: would you turn the page? I’m sharing the most recent candidate because it speaks with particular eloquence to an issue I’ve been encountering in the writing groups I haunt. Although I understand the reasons a few commenters voted no (e.g., snarky narrator, too much alliteration), I’d vote “yes” on this sample for one simple reason: it has a hook. Wait! Doesn’t everybody know that the first page, or at least the first chapter, of a novel has to have a hook? Evidence that not everyone understands this basic principle of story-telling comes not just from recent writing-group conversations but also from a set of contest entries I recently judged. Novel after novel opened with “introductions” to plain-vanilla characters going about their daily business or mundane scene-setting, or, all too often, gobs of backstory about people I have no reason to care about. Um, the reader won’t see anything develop over the course of the book because she won’t read it. She won’t get to Chapter Two. From occasional comments I’ve received, I think it’s possible that this defense arises because the writers in question are producing LITERATURE. People who read LITERATURE don’t need bombs going off on page one. They will patiently wait for a story to develop. They’ll slog through long, tedious details because they know that only simpletons require things to actually happen. Endless observations of people tying their shoelaces—portraying the cosmic meaning in such minutiae—that’s what LITERATURE is all about. Excuse me. I read LITERATURE, too. And the LITERARY writers who get read know that story isn’t necessarily about bombs going off. In fact, it’s usually not the bombs that matter.It’s what they do to the people they blow up. Story is built on heart-wracking conflict, on blistering emotion, on goals set and surrendered and recovered, on needs. STORY transcends genre. And story begins on page one. Absolutely one of the best dicussions of story structure I’ve read. Resonates on so many levels for me! I just wrote to a writing group colleague that a story that’s working tells me what it’s about, and I think that sentiment jibes with this discussion. Let me know what you think! This article addresses what I find is the most pressing issue in developing a novel. It’s the one I come back to again and again, hoping I’ve made it work and struggling if I think I haven’t. In some ways, I think this article may distill the question down a bit more than I like; sometimes there’s a story question embedded in another story question, and both have to be answered. 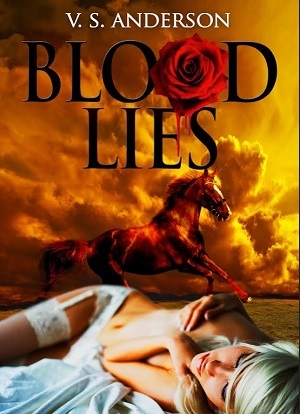 In Blood Lies, the obvious story question is whether Ted will find out who murdered Alejo. But the larger question that drives and even overrides this one is whether, in the process, Ted will become the man he needs to be to respect himself. So a corollary question to ask in working on story questions is whether the two (or more) questions serve each other. Does finding his best self help Ted find the murderer? Does finding the murderer help Ted find his best self? In any case, in many unpublished novels I read, it’s the story question that’s missing–or just isn’t compelling. So this article is an excellent primer on this central issue in fiction. Both the story question and the story problem are vital for crafting cohesive stories and strong fiction. A discussion of the story question in fiction.